Hello everyone. This is the Quality Part of the SOP. It is one of the most important department of a manufacturing company. There are no compromise about Quality. Lets see what quality dept. done. All those planned and systematic actions necessary to provide adequate confidence that a product or service will satisfy given requirement for quality is called quality assurance. The quality of product at every stages of manufacturing can therefore, be ensured by introducing some sort of controlling and monitoring mechanism in the production process. This controlling and monitoring mechanism is regarded as quality control system. To ensure each and every pair of shoe is acceptable standard quality level. To build and maintain a quality standard procedure so that it can earn customers confidence regarding the quality product. In a company quality assurance activities start from forward looking design and guarded down to the inspection stage. A. During product development utmost care is taken both in terms of aesthetic and technical details. B. When ordering materials or components specifications are made known to the vendor. If necessary he is educated, materials are accepted after the necessary checking is OK.
C. All equipments, machine and instruments are maintained at top working condition. D. Trained operatives are organized before production is planned. E. Production file is prepared along with costing. Cutting of upper & bottom. Shoe finishing and branding of socks. G. During in process control if anything is found below level of performance corrective actions are taken. By checkers in lasting line. Third party inspection as per Buyer/Customer’s requirement. 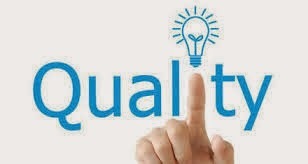 Responsibility of “quality assurance” therefore, is shared by almost entire management of our company i.e. Third party inspector. ( Wherever required). Further the company statistically analyze the customers claim if any and corrective actions taken through P.D. Dept. and production floor. To guard this, wear test of the product is regularly conducted by the P.D. dept.at development stages and afterwards from regular production line.